Outside of setting my neighbor’s awning on fire with a bottle rocket launched by my grandfather, one of the most fun Fourth of July weekends was skiing at Tuckerman Ravine up in New Hampshire. That weekend was the second trip to the Ravine for the year with my pal Eric Durfee and we coupled great turns on corn snow with water skiing, golf, tennis, and jumping in his dad’s pond and swimming in Lake George. I came home exhausted but making ski turns in July was a real treat. I can recall the sunshine in the bowl, the beads of sweat forming on my forehead and climbing with my pack in a t-shirt and wind pants. July snow is dirty on the trail from all the freeze thaw events but the fragrance of pine trees, the rushing water in the streams, and the general communal feeling of extending the ski season was pretty cool. A number of years later, I had a meeting in Fresno, California. I called my pal Jeff Rose from Philly who was also attending and I said, ” Hey man, how would you like to ski Mammoth Mountain on the weekend before and after the meeting? He was all in, being an avid skier, and as we came through our shirts in 108 degree temps in Fresno, the locals looked at us like we were nuts with all the ski equipment. Rose conked out on me as I drove through Yosemite in the pitch black night, but we made it to Mammoth at 3:00 AM. Bleary eyed, we awoke to blazing sunshine on July 19th. The latest I had ever skied in my life. Again- the feeling of getting over on something by extending yet another ski season was first and foremost on my mind. That year, Mammoth closed at noon but we were the first on the lift in the morning and made tons of turns on bullet proof ice which miraculously turned to amazing corn snow for just a short while until it turned to mush. Corn snow is fickle. It forms in the sunshine for a brief time and rewards the faithful with hero conditions. That brief moment when the corn snow is perfect has to be harvested as soon as possible. It was amazing to see how soon it turned to slop and we exited the mountain right at noon. The afternoons were spent sitting in the hot springs, drinking a beer and regaling the locals about our forward thinking to ski while on a business trip. I have not had the opportunity to ski that late in a number of years. I know they are hiking up Mt. Rose now with good snow still in the Chutes. Nevada folks are dedicated and with the snow pack out there this year, they will most likely be skiing and hiking long into July. 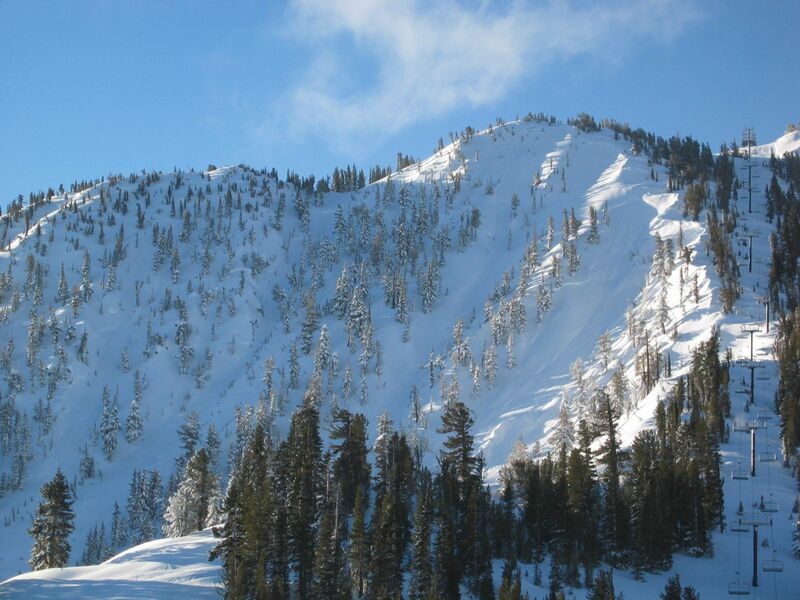 Mammoth will be open again and also Squaw Valley,California in Tahoe with a remarkable announcement, will have one chairlift open all summer into the next ski season. I will be there for a wedding in September and if they have that chair running as promised, I will definitely take a run or two to set a new personal record. Why do I talk about skiing in the summer? My mountain bike friends set their watch to when I will start to talk about skiing on a ride. 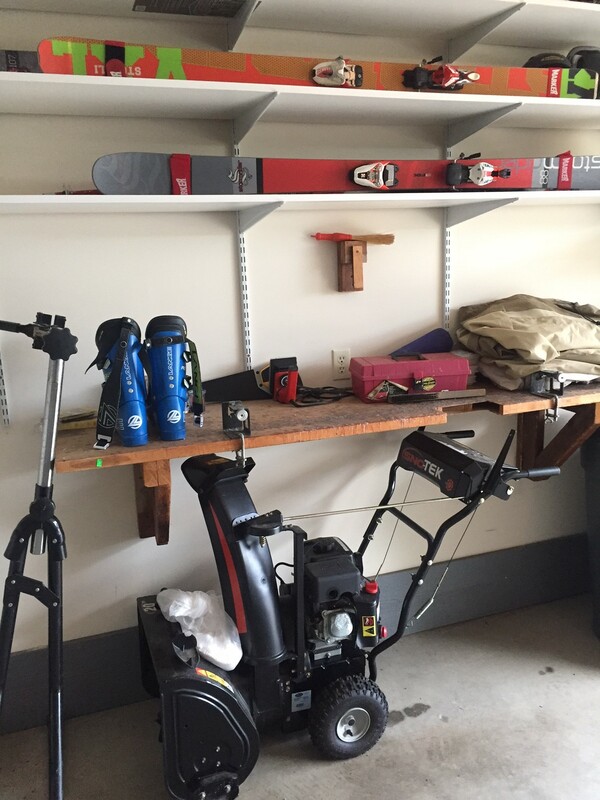 I look at my equipment in my garage and take the obligatory edge feel when I pass my shelf on the way to get my bike. I guess my enthusiasm for sliding on snow carries me through the year as it is the most fun outdoor activity in which I participate. Only 5 months to go. Plus, I love the winter. Not that I don’t like the change of seasons, but in those rare occurrences when I can ski outside the regular season, I thoroughly enjoyed it. My pal Bill Yalch out in Colorado will be camping in his van and getting the last turns of the season this year. He may have to do some climbing, but he will harvest that beautiful corn in that way too short window of time. Think snow? No- not yet? Thanks for reading. This entry was posted in outdoor activities, outdoor sports, Skiing, trails, winter sports and tagged Mammoth Mountain Ski Area, Mt. Rose Ski Area, Tuckerman Ravine. Hey Pat, thanks for the fun read! I used to sit on a surfboard in August and dream of skiingâ¦thats when you know you âhave it badâ. Have a great 4th and I will take down my awnings for the weekend to avoid the occasional errant bottle rocket! [Pietragallo Logo] This electronic mail message, and any attachments transmitted with it, contain confidential information, intended only for the named addressee(s). If you are not the intended recipient or the person responsible for delivering this e-mail to the intended recipient, you are hereby notified that any use, distribution, copying or disclosure of this communication is strictly prohibited. If you have received this e-mail in error, please immediately notify Pietragallo Gordon Alfano Bosick & Raspanti, LLP by reply e-mail, and delete all copies of this communication from your computer and network. Thank you. You’re still a kid at heart when it comes to skiing! Good memories, for sure! The 4th of July weekend you mentioned in Vermont, in addition to skiing Tuckerman’s, 18 holes of golf, tennis, swimming, and water skiing, we also went for a six mile run and a 70 mile bicycle ride! When you packed your Blazer for the drive up, your neighbor asked you if you were moving! By the way, Mammoth is planning to stay open until August 8th! Bring your boots and bicycle out, I’ll supply the rest, and we’ll have a repeat of that weekend we did in 1981….. I never skied that late, Pat, but for 4 years when I lived in Rochester NY we went to Tuckerman’s Ravine every Memorial Day weekend. Back then you were allowed to camp a Hermit Lake in sight of the building called Howard Johnsons. When camping was banned and one had to have a reservation for the limited spaces in the shelter there we stopped going. A typical pack with tent, food and beverage plus ski gear weighed 85#. We did go once after that on Memorial Day and that year we were able to ski back down the Sherburne Trail after the climb from Pinkham Notch and skiing in the bowl. But the most notable time was one year when there was a record snowfall. My good friend Pete and I went in early April. We hit the weather right and Hillman’s Highway was fantastic. 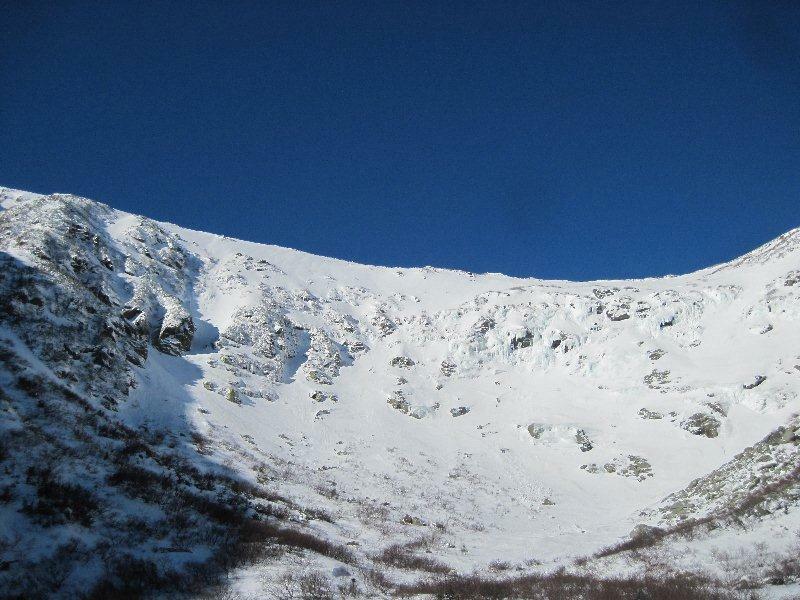 There was so much snow that the vertical lip of the cirque which is Tuckerman’s Ravine was covered in snow with a minimal number of rocks showing. Needless to say,we climbed up and skied down over the lip. It was definitely “pucker time” but a fall would not be fatal. Lunch Rocks and all the other rocks at the base of the cirque were covered in deep snow. 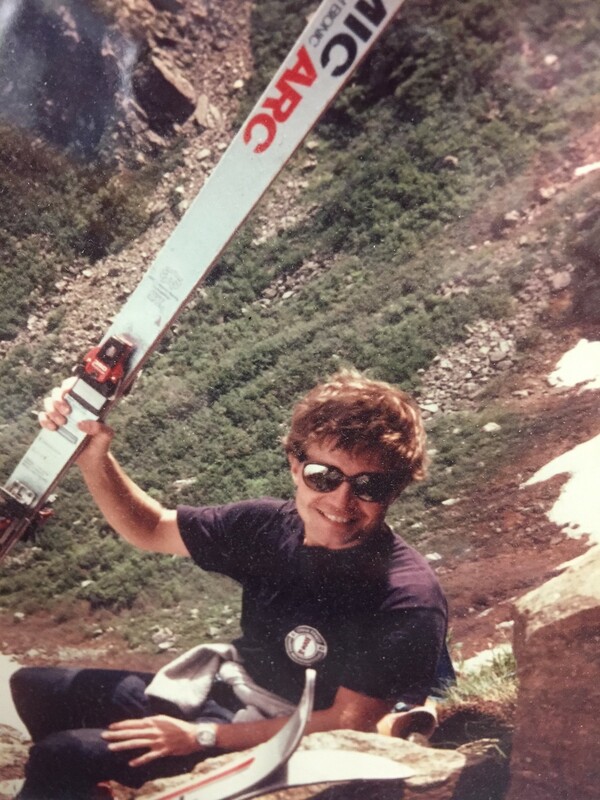 Back in the early 80’s I got to snow ski and water ski on the 4th of July at Loveland CO. Great memory! Thanks for the reminder!